Councillor Brian McGinley, Economy and Culture Portfolio Holder for South Ayrshire Council, said: “This is a real boost for residents and business in Barr and Barrhill. It’s great that more of our villages have access to Superfast Broadband which is vital if we’re to grow our rural economy. The difference that Superfast Broadband can make is remarkable and it can easily cope with business or home access through tablets, phones or computers all at the same time." 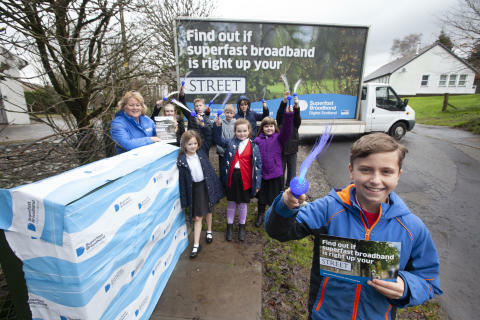 Sara Budge, Programme Director for Digital Scotland Superfast Broadband, said: “It’s fantastic news that the programme has been able to benefit residents and businesses in and around Barr.